I have been testing out Natty since it was in its Alpha stage and its time for me to show you what I observed with today’s final release. 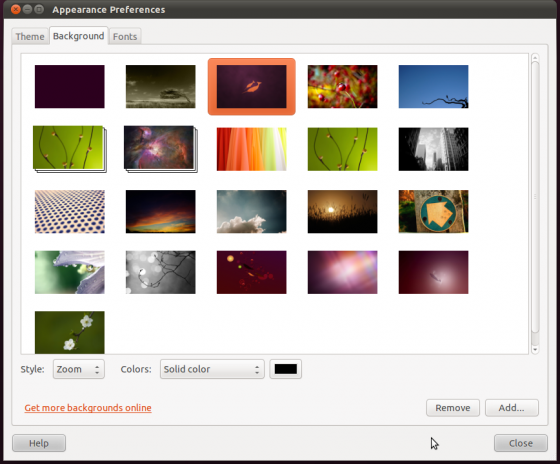 Many of you might have read my previous posts on Ubuntu 11.04 Screenshots and Overview and you can now easily find out the new changes and developments. 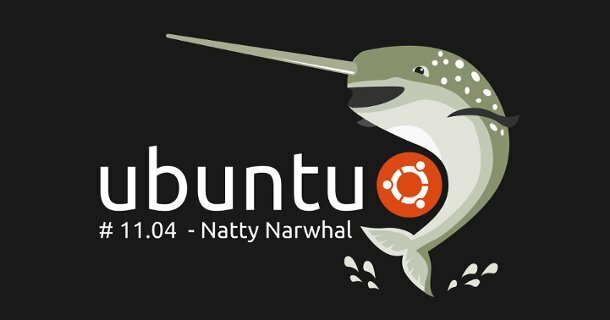 Before you go any further, here is a video showing the new features in Ubuntu 11.04 Natty Narwhal. Many softwares are updated to new versions and Banshee replaced Rhythmbox as the default media Jukebox player and LibreOffice has replaced OpenOffice. It also come with the next generation browser Mozilla Firefox 4.0. 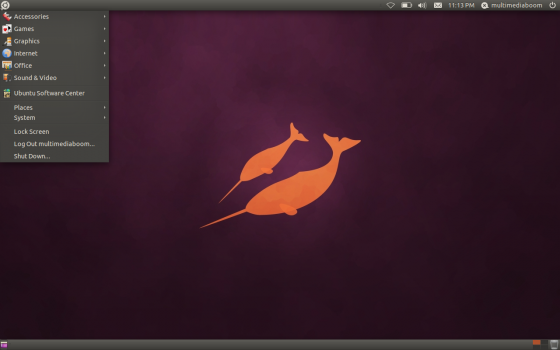 Unity has been set default in Ubuntu which is totally rewritten from Gnome 2.x.x. 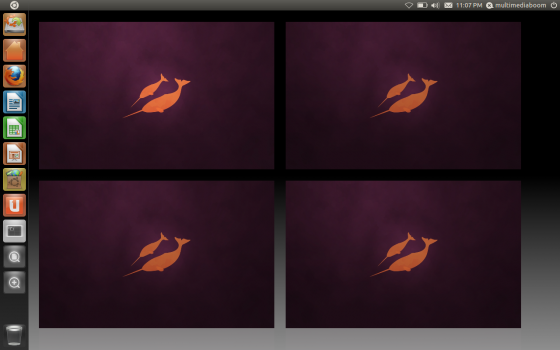 The fact is Unity uses compiz to run. 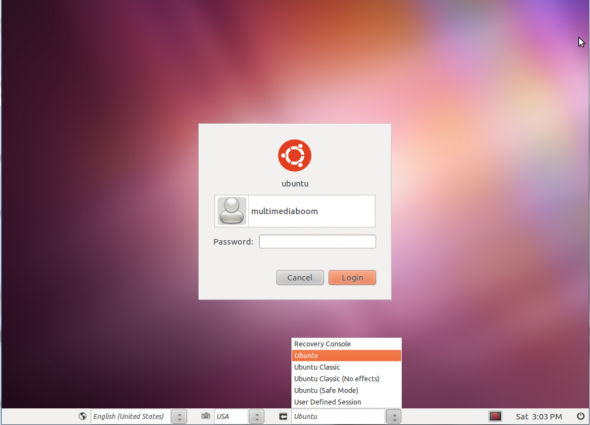 Not to worry users can revert back to to the old classical Gnome during the login page. If you have tested the beta release, you would have seen the new Launcher (Dock) and Dash. 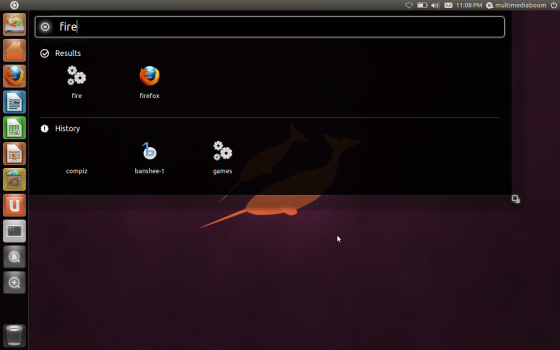 It is the dock at the left which displays the running Applications. 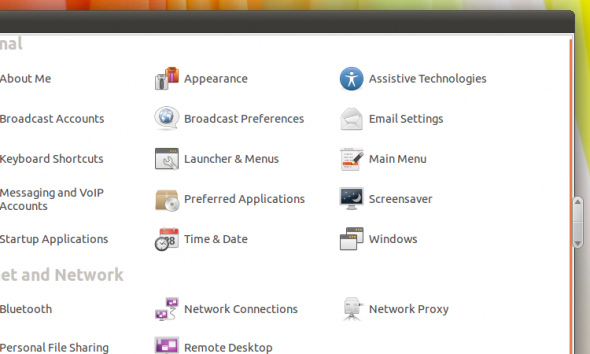 It is basically a menu through which you can access Applications, Files and folders by clicking the Ubuntu Logo on the Launcher. The Launcher turns grey when you open the dash. The run (Alt+F2) has been changed in Unity. This is a big leap in this release the Window menu has been integrated with the Top Panel. It increases space in the window but it is difficult to get around. To tweak Unity Compiz has added Unity plugin which configures launcher reveal mode, keyboard shortcuts and some experimental settings like panel opacity and launcher icon size. You need to manually install the Compiz Settings Manager. Then you can launch it by run about:config in the run command window. The desktop has been totally advanced to a new level. The background has been changed slightly and 17 new Wallpapers have been added. The default Ambiance theme has been once again improved, it has been darkened. The new Software Center offers user reviews, better support to buy apps, and other enhancements. It also provides suggestions and apps to install. Another worthwhile feature in this release is the overlaying scrollbars (they appear were the scrollbar should be). This increase the productivity of the window. 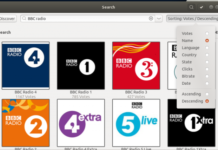 The new installer allows you to upgrade directly using the disc to Ubuntu 11.04, it also Allows users to upgrade their existing Ubuntu installation. This is again a good feature added in this release. To be honest I had a time using the unity, but I soon switched to Ubuntu Classic. (Er..sorry for the blur image.) You can select the session during startup. 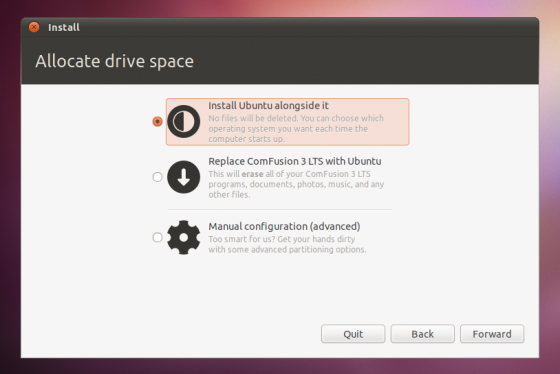 If you’ve installed Ubuntu 11.04 alpha or beta you can upgrade using Update manager to get the final release.